The Oppenlander Vineyard is located 10 miles from the ocean, 5 miles northwest of Anderson Valley in Comptche’s Surprise Valley at an elevation of 600 ft. It is the first of only four vineyards planted in this up and coming Mendocino Coastal region The 18 acre vineyard, planted in 1998-1999 is self - rooted in clay loam soil. 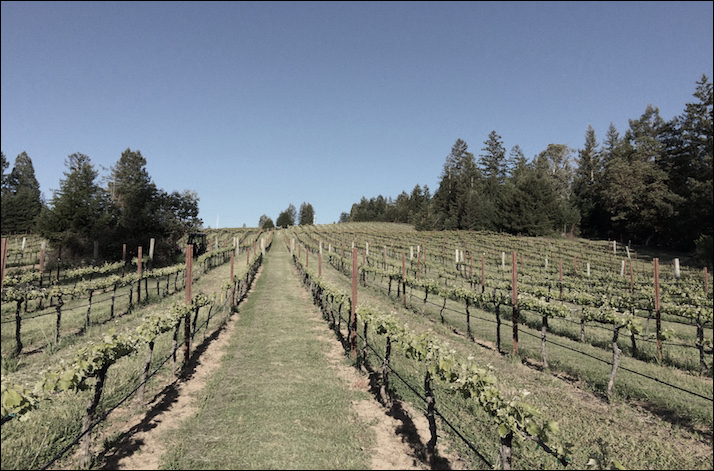 Located five miles inland from Elk on the Pacific Coast, the Valenti Vineyard elevates to 1300 feet in the Mendocino Ridge AVA. The vineyards of Mendocino Ridge must be a minimum of 1200 feet in elevation. It is California’s first and only non contiguous AVA of less than 75 acres planted. Because of its hilly terrain, some lower elevations are not included fostering the name, “Islands in the Sky.” The temperature ranges between daytime highs and lows in known as the diurnal fluctuation with temperature swings of less than 20 degrees. 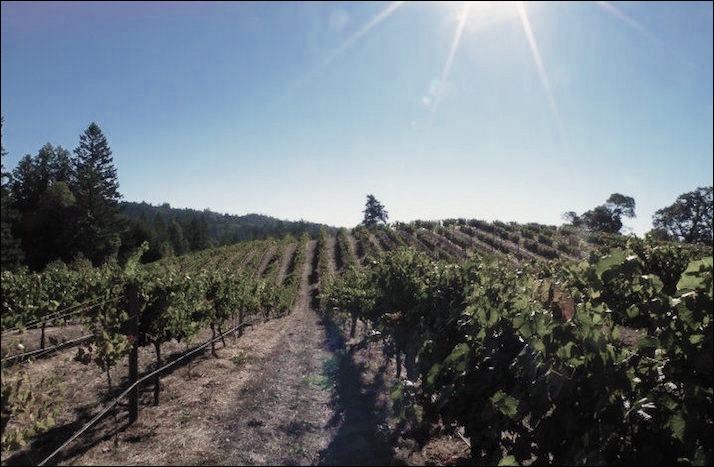 The Roma’s vineyard sits on Lone Tree Ridge overlooking the Anderson Valley elevated at 1800 feet. Its ridge top orientation takes full advantage of the warm sun and cooler daytime temperatures. Originally planted for sparkling wine, the vineyard was retrained to bi-lateral cordons for Pinot Noir production. The vineyards Gold Ridge loamy soils were planted to the Pommard clone in 1992 and dry land farmed. The Valley Foothills Vineyard planted in 1995 is situated on the floor of the Anderson Valley. The vineyard, formerly an apple orchard, has mature vines almost 30 years old and spans 850 acres with 170 planted with vines. Unique geography includes highland meadows, plateaus, and multiple river tributaries to the Navarro River which flows two directions through the coastal areas. It is here that the Tasting Room for Phillips Hill Winery is located in the historical apple drying barn on the ranch.